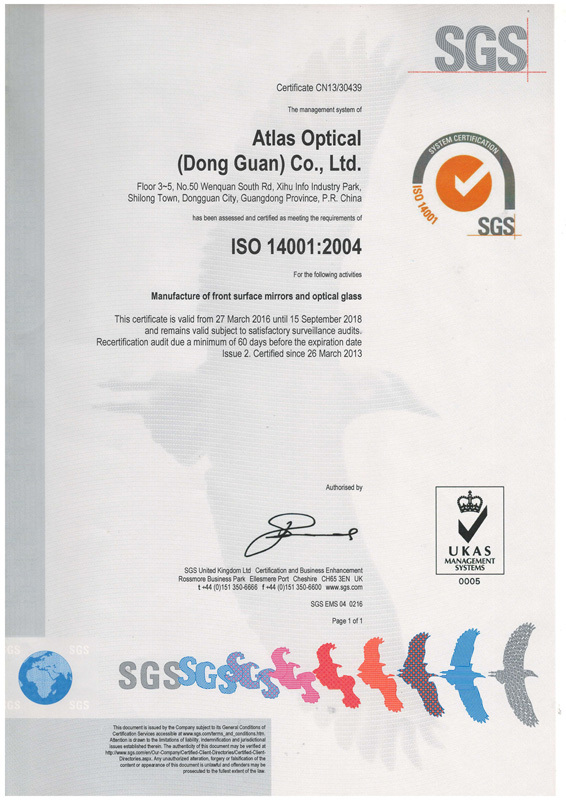 ﻿ ATLAS OPTICAL (DONG GUAN) CO.,LTD. 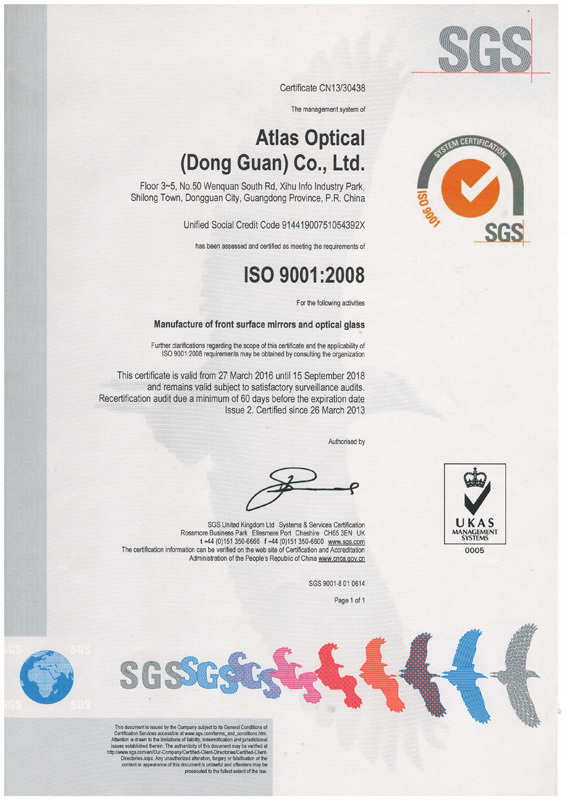 Atlas Optical was established in 1994. Headquartered in Taipei Taiwan, Atlas opened its Suzhou facility in 1998, the Dongguan factory in 1999, current headcount is over 200. We specialize in optical glass processing, such as optical coating on glass (evaporation and magnetron sputtering), glass grinding and polishing, chemical strengthening, glass CNC and silk screening etc. Our product uses include display glass, surveillance lenses, office automation products, medical instruments, automotive and many other industries. Atlas has an experienced optical glass processing and thin film coating team, we strive to collaborate with customers for product development and to provide top notch solutions. 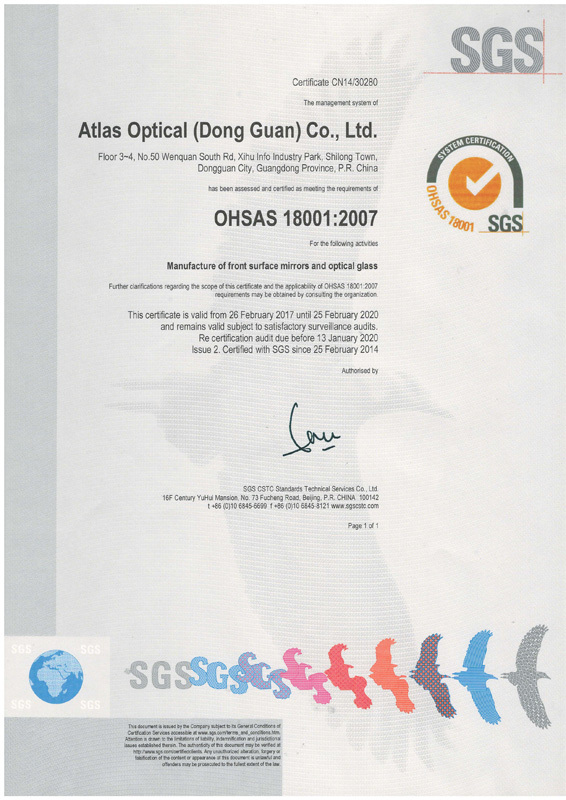 © ATLAS OPTICAL (DONG GUAN) CO.,LTD.